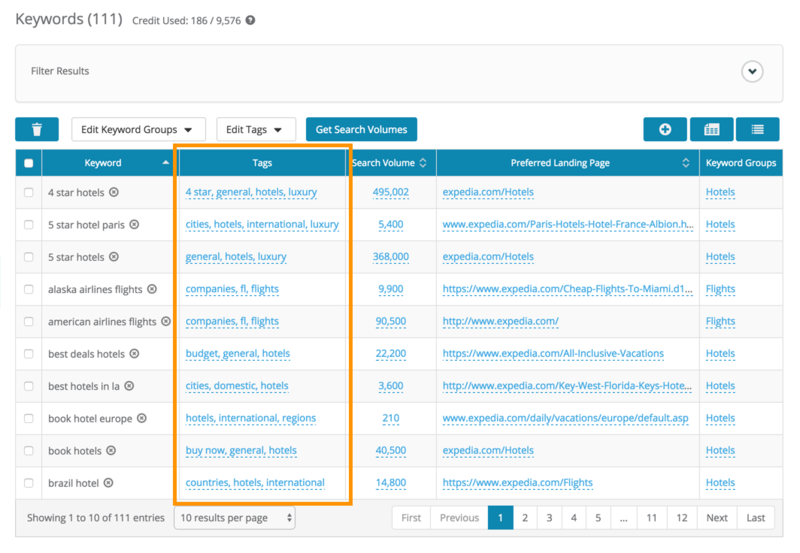 To effectively manage your list of keywords and perform even more detailed ranking data segmentation, tagging keywords can be extremely useful. The way you tag your keywords can varies depending on your requirements, but adding tags to your keywords is very easy and you can do it either in the app or via Excel import. With strategic keyword tagging, you can segment your data in ranking reports or manage them effectively using Keyword Management filters. 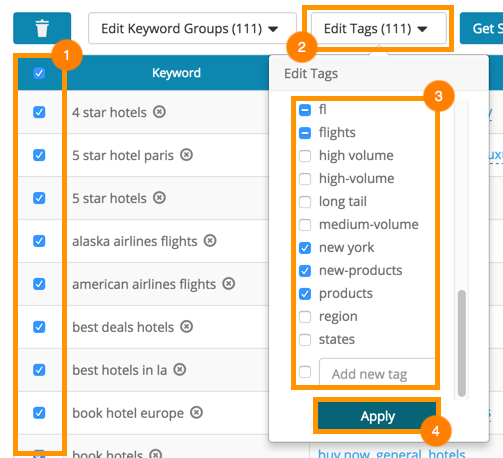 Learn more about managing keywords using Keyword Group and Tagging here. Alternatively, you can also add tags to keywords with Excel import.